A couple who share their creativity in children’s ministry and production locally and internationally are recipients of Manifest’s most prestigious award this year. Rod and Zan Long receive the Gabe Reynaud Award for demonstrating excellence in faithful creativity. As longtime members of Kellyville Seventh-day Adventist Church in suburban Sydney, the Longs have led and supported key ministries, including those focused on worship, multimedia, young adults and children. Rod has also contributed to strategic leadership of the church in Greater Sydney as a member of the Executive Committee for eight years, the Education Board for 12 years and as Property Manager for 10 years. 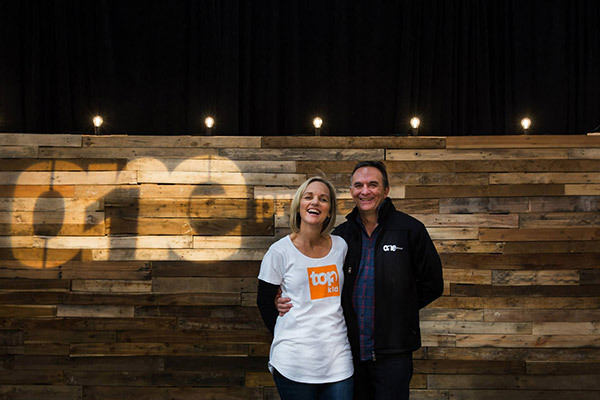 Rod became a member of the One project’s leadership team while Zan noticed the absence of a program for children and developed TOP Kids, which she led at gatherings around the world. “It’s so important to be intergenerational with our faith, so the challenge of creating an experience that is saturated in Jesus across the generations became my goal,” she says. Zan continues to contribute to the children’s resource in the Daily Walk email devotional used by dozens of Adventist churches around the world. And, of course, this circles back to Kellyville, where she leads children’s programs, and the couple continue to do their most important ministry and faithful creativity. Previous recipients include artist Joanna Darby, academic, composer and writer Dr Robert Wolfgramm, the interactive, outdoor drama Road to Bethlehem, clown, storyteller and trainer Graeme Frauenfelder, entrepreneur and publisher Jeremy Dixon, children’s minister Pr Daron Pratt and singer/songwriter Melissa Otto. Presented at Manifest’s creative arts festival between 2011 and 2015, the Gabe Reynaud Award is now part of the Adventist Church in Australia’s Digital Discipleship Conference. Reynaud’s wife, Andi, will present the Longs with the award this Saturday (July 21). Manifest is an Adventist Church in the South Pacific-led movement exploring, encouraging and celebrating faithful creativity. Gabe Reynaud became the Seventh-day Adventist Church’s first professionally trained film director. His work as a faithful creative, including Keepers of the Flame, The Search, Digging Up the Past and Chasing Utopia, won a number of international awards. 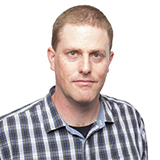 He would become Senior Producer at the then Adventist Media Centre and pioneered a filmmaking unit at Avondale College of Higher Education.